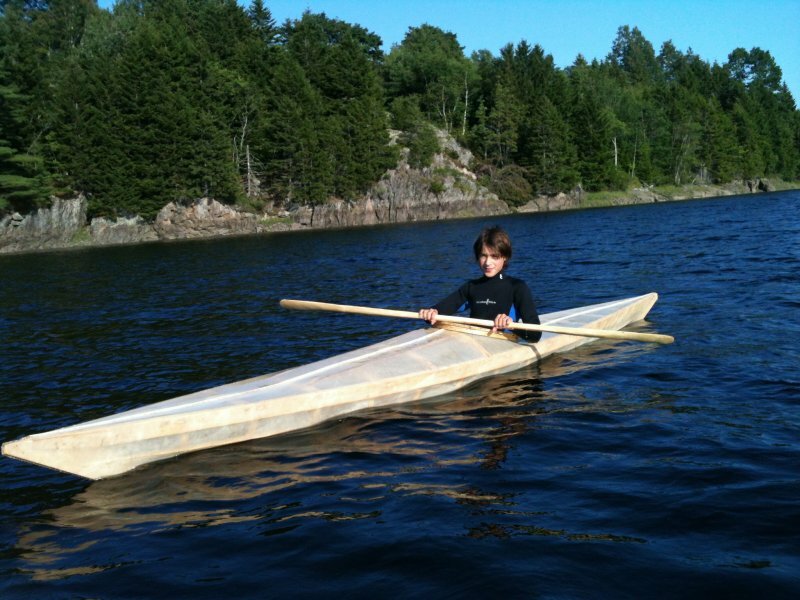 Asher Molyneaux built this kayak as a homeschooling project in winter/spring 2014. The frame is made of spruce, cedar and ash. The skin is ballistic nylon coated with two part urethane coating. 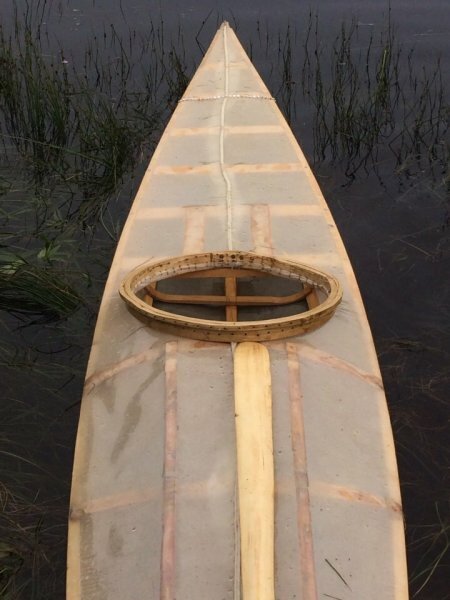 The paddle is poplar.